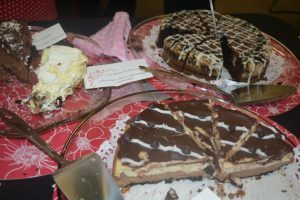 COSHOCTON – Tables of chocolate delights made by volunteers will greet attendees of the Pomerene Center for the Arts 27th annual Chocolate Extravaganza. This annual fundraiser for the Pomerene Center for the Arts will be held from 3 to 5 p.m. Saturday, Feb. 9 at the Coshocton County Career Center. Advance tickets are $10 and available at the Pomerene Center, Hannah Marie’s, Dean’s Jewelry, Mercantile on Main, CC Village Market in West Lafayette, and Medbery Marketplace in Roscoe Village. Tickets at the door will be $12. Entertainment at the chocolate extravaganza will be provided by a men’s quartet, which will travel from table to table to sing for attendees. There also will be a huge selection of raffle items. 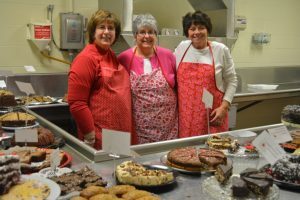 “We’ve nearly doubled our raffle items this year thanks to Kathy Gwinn who joined the Pomerene board and chocolate extravaganza committee,” Rice said. 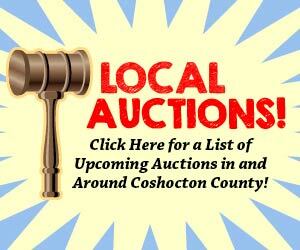 New to this year’s event will be a heart bombing project being organized by Our Town Coshocton.